Instru-metal band Moroghor exists perpetually in between the verses of Slayer’s “Dead Skin Mask” and those sections in later Pink Floyd songs where a slashing guitar chord burns out a slow vamp and David Gilmour tattoos heroic solos over it. Throw in some 70s sci-fi synths for extra headfuck. It’s a unique sound, neither depressive enough to qualify as doom proper nor quite loopy enough for a trip down LSD flashback lane. Guitarist/synth player Ndehatl explains in an e-mail that “Our music started out as sort of psychedelic black-ish metal, and recently took a turn into black/drone/doom in our 2nd album….not sure where we’ll go next. Don’t really care. We’ll end up wherever we end up.” You can sense the indecision on Darkness… As infrequently as we get to hear major-key, modal doom ("Taijitu”), the metal textures tend towards the static. Zombi-fied synthy textures help, but Moroghor’s songs never resolve into anything – they’re mostly endless slow-motion space trudges. Let’s get these guys a vocalist or license Darkness… for a low-budget sci-fi soundtrack, pronto. Pfffttt. 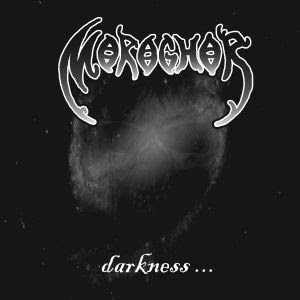 Moroghor are kind enough to post their entire discography for free download right here. Great to see this post here - I'll be sure to let the band know about it.